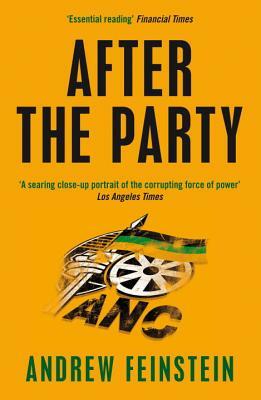 After the Party is the explosive story of the power struggles dominating South African politics and a crucial analysis of the ANC’s record in power. Andrew Feinstein, a former ANC member of parliament, uncovers a web of corruption to rival Watergate, revealing a web of concealment and corruption involving senior politicians, officials and figures at the very highest level of South African politics. With an insider’s account of the events surrounding the contentious trial of South Africa’s colourful President, Jacob Zuma, and the ongoing tragedy in Zimbabwe, After the Party has been acclaimed as the most important book on South Africa since the end of apartheid. Andrew Feinstein is a former ANC Member of Parliament. He has written extensively for the Guardian, The New York Times, The Wall Street Journal, the Washington Post, and Newsweek, among others, and is a regular commentator on CNN and Al Jazeera. He lives in London.